On Wednesday February 7, 2018, my classmates and I embarked a four-hour bus ride to YMCA Camp Geneva Park in Orillia, Ontario. As students of the Recreation Therapy Intensive program at Mohawk College, a mandatory component of the program is a three-day, two-night winter “camping” trip. If you are anything like me, the words “camping” and “winter” in the same sentence likely does not sound the most enticing. However, this experience turned out to be one of the best school trips I have been on to date and strengthened my understanding of the importance of recreation and leisure. Specifically, the expressive arts component of the trip stands out as a memorable and therapeutic experience, which current and prospective Recreation Therapists, such as myself, may find useful in their own practice. First off, allow me to clarify. This was not a camping trip. “Glamping” meaning glamorous-camping does a better job at describing Geneva Park. The grounds are beautiful, sitting directly on the shore of Lake Couchiching with motel-like accommodations provided on site. Upon arrival at the camp, my classmates and I were informed of the various recreational activities we would have the opportunity to partake in over the next few days. Geneva Park offered snow shoeing, cross-country skiing, an expressive arts class, yoga, low ropes, a debriefing class, and a trust walk through the snow. An instructor facilitated each program and usually contributed simple team building games into the activity. I chose to take part in snowshoeing, yoga, and the expressive arts program. While each activity was enjoyable and held therapeutic value, the expressive arts program was an unforgettable and significantly beneficial experience. Central to the class was the theme of self-reflection and promoting positive thinking using affirmations. 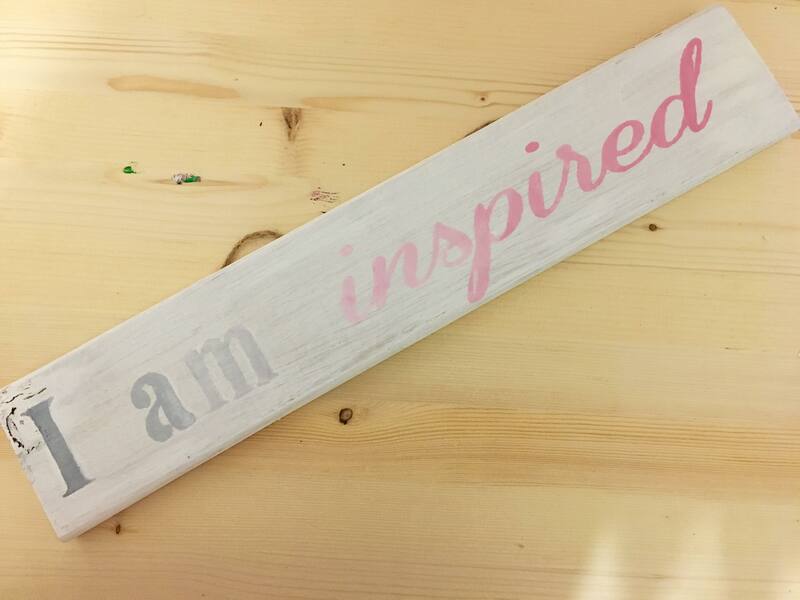 The instructor provided the materials necessary for making custom wooden signs (wooden planks, acrylic paint, brushes, and stencils) and opened up to the class about her battle with depression, ultimately leading to the development of her wooden sign business. Students were instructed to complete a worksheet by creating their own “I am...” statements to act as positive affirmations of how they strive to see themselves. After a moment of meditation, students chose a stencil of a word closest to a personal affirmation written on their worksheet. Whichever stencil they chose would be the “I am” statement on their wooden sign. Some examples of the affirmations students selected for their signs included, “I am fun-loving”, “I am creative”, and “I am unstoppable”. The goal of this activity was for students to utilize their positive affirmations worksheet and custom wooden sign to practice their “I am...” statements daily to promote positive thinking. I chose the affirmation, “I am inspiring” because I often feel inspired by those around me but forget that I have the power to inspire others. Prior to this activity, if you were to ask me who I am, a generic answer would come to mind. I am a student, an artist, a dancer, and a friend. But, I am also inspiring and my wooden sign serves as a reminder of that each day. This program helped demonstrate to me how combining an activity (such as creating a custom wooden sign) with meditation and self-reflection can hold therapeutic value for participants. With that being said, this June I will be completing a 10-week practicum placement at a children’s centre for individuals with developmental disabilities. Children with cognitive disabilities are just one population that would benefit from a program such as this, since positive affirmations can be customized to fit individuals of all ages. As well, very few modifications would need to be made to the tools or delivery of this program, if any at all. I look forward to being able to implement an expressive arts program at my upcoming practicum and I am grateful to the faculty of Mohawk College's Recreation Therapy program and YMCA Camp Geneva Park for this wonderful experience. I am so touched to read your feedback. Thank you for taking the time to describe the Creative Affirmations Workshop and the benefits of it. I'm truly honoured to know that by creating this workshop I have made an impact not only on the participants but possibly on the future of people your practice will affect.